The University of Wisconsin volleyball team had been a dream team in the Big Ten, but when four key seniors graduated, the certainty of the program remained up in the air. Wisconsin was known for a dynamic team in 2016, and that was due in large part to the stellar senior class. 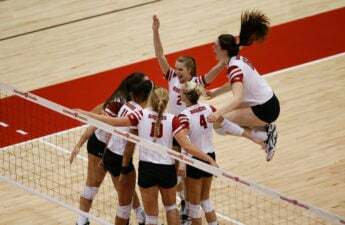 Players like Lauren Carlini, Haleigh Nelson, Romana Kriskova and Tori Blake helped solidify the Badgers as one of the best teams in the nation. This powerhouse of players had been together for a long time, and they were the first class UW head coach Kelly Sheffield had the honor of working with all four years. The chemistry between the four women and their coach was evident, and it allowed for a dynamic style of play that Wisconsin hadn’t seen in a long time. Haleigh Nelson was one of the team’s best hitters, with a grand total of 418.5 points, 306 kills and a .396 percentage completion for attacks. Nelson was also a dynamic server, and had the second highest number of service aces on the team with a total of 33. Romana Kriskova was another dominant outside hitter for the Badgers. The Slovakian native had an impressive 305 points, 268 kills, .257 completion percentage with attacks and five service aces. Tori Blake was an anchor for the Wisconsin defense, and the middle-blocker received the Big Ten Sportsmanship award in 2016. It was thanks to players like Blake that Wisconsin was able to clinch most of their victories within the first three sets of the game. 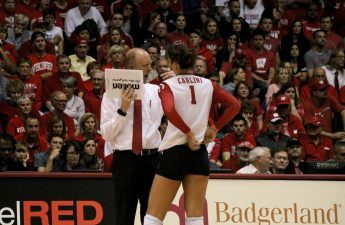 And last but not least, Lauren Carlini, who made her mark as one of the best setters that Wisconsin volleyball has ever seen. The Sullivan award winner was a dynamic addition to the team and led the Badger with an impressive 34 services aces in her final season. These four women made for a very powerful team, and alongside Sheffield this team rose to heights they had never managed to achieve before. 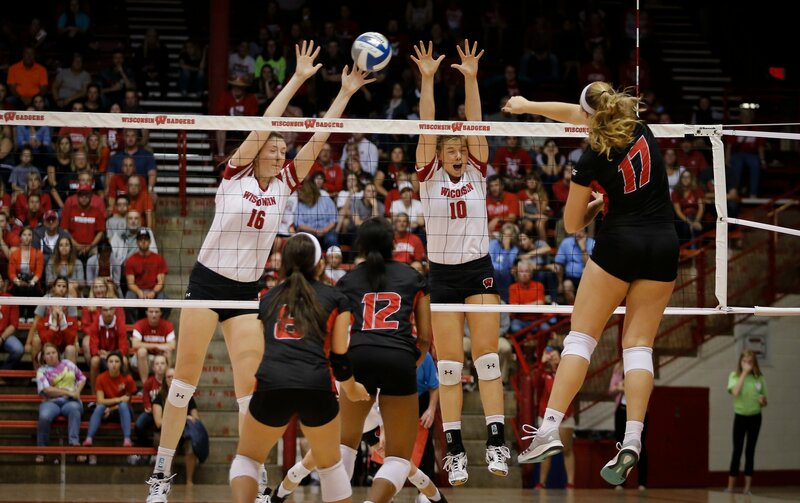 The Badgers achieved the No.1 ranking in collegiate volleyball and managed to beat a grand total of 13 ranked teams, the most in program history. With Carlini, Nelson, Kriskova and Blake all leaving Wisconsin in 2016, many wondered if the incoming freshman class would be able to fill the enormous shoes that had just been vacated. Players like Tionna Williams, Molly Haggerty and Kelli Bates all had standout seasons in 2016, but the biggest piece that was still missing was a setter. In comes Sidney Hilley, a freshman from Minnesota. Hilley was the No.3 recruit in the nation, and the list of accomplishments she has is outstanding, including MVP at the 2016 Junior World Championships. Hilley admitted that one of main reasons for coming to Wisconsin was Carlini, whom she had always been inspired by. 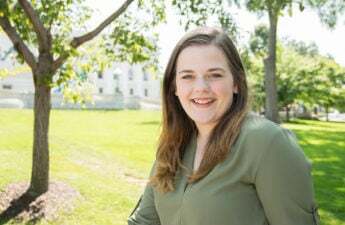 Committing to Wisconsin during her freshman year of high school, Hilley would frequently attend volleyball matches and note the ways in which Carlini would handle herself, both on and off the court. However, Hilley did not want to be “just like” Carlini, and that is something that Sheffield was eager to point out. Even though the Badgers season has just begun, Hilley is already earning honors within the Big Ten. On August 28th, 2017, Hilley earned the Big Ten setter of the week honor. Hilley is not the only freshman is making waves this year. She is joined by her teammate Dana Rettke, who is helping to hold down the Wisconsin defense after the departure of Blake. Rettke was the No.8 recruit nationally, and was the 2016 Illinois state Player of the Year, a title she shares with her teammate Haggerty, along with Carlini and AnneMarie Hickey. Rettke is off to a hot start with the Badgers, and has already earned the Big Ten co-player of the week and co-freshman of the week honors on August 28th 2016. She is also one of the reasons that Wisconsin has been handling formidable opponents so well this season. Rettke lead the team with 15 kills and six blocks against Louisville in August. While losing one of the greatest senior classes in Wisconsin history is never easy, it is clear that Wisconsin head coach Kelly Sheffield knows what he is doing when it comes to recruiting great players. This year’s freshman class might even usurp the senior class of 2016, and cement themselves as one of the greatest Wisconsin teams in history.